Child labour happens to be the dark underbelly of the Indian economy. It is ubiquitous to the extent that we see children labouring from the farms to the way side dhabas to the numerous workshops, factories and household enterprises in the unorganised sector; and this is carried out with complete impunity due to inadequate legal provisions to prohibit it and slack implementation of whatever existing law. Children up to 18 years constitute 5% of the Indian work force. If we take into account the main and marginal worker categories of the 2011 Census – 24 million children are engaged in labour. If one drills down further, a bias against girl children become more obvious. 6.29% of the total female work force is girls as against corresponding 4.32% boys in the male work force. The Census data also informs that 61% of children, engaged in labour, work as either landless agricultural labourers or as cultivators from families with small and marginal holdings. It is in this context that one has to interpret the proposed amendment to the Child Labour (Prohibition and Regulation) Bill 2012, which is about to be introduced in parliament in a few days. On the good side, it is enhancing the punishment for employers of child labour and introducing a provision for rehabilitating rescued child labour. Yet, what is causing utmost concern is that the proposed amendment will leave the door open for large scale use of child labour by legitimising children’s work in household enterprises, purportedly outside the school hours and during vacations. There are three reasons why the proposed amendment could derail the efforts to provide all children a safe, healthy and transformative childhood. One, as part of the labour law relaxations the number of workers in a unit required for bringing it under the monitoring and regulation of the Factories Act is being raised from 20 to 40. This will also lead to an increasing number of home based enterprises, further opening up employment of child labour under the umbrella of the proposed amendment. Two, girl children and children of the Dalits, and Other Backward Castes will be the worst sufferers as these are the social groups from which child labour in India, particularly for home based work are recruited. This amendment will therefore run against the avowed objectives of the Beti Bachao – Bet Padhao Abhiyan as well as that of the Smart Cities Programme. While a substantial chunk of girl children remain tied to family based work how will they be freed through education? Similarly while Smart Cities are projected as the face of 21st Century India, how will the digital front end of these cities be matched with appropriate back end content, if children are working up front in the way side restaurants, workshops etc as well as engaging in rag picking and even begging? When will the vast numbers of child labour in India’s agriculture sector see the light of liberation? When will the right of Children for education guaranteed under the Right to Education Act 2009 be realised for at least children up 14 years? Three, the 40th Report of the Parliamentary Standing Committee on Labour had pointed out in response to a similar proviso in the 2012 CLPRA amendment bill that the Ministry of Labour and Employment was itself providing loopholes by inserting this proviso since it would be very difficult to make out whether children were merely helping their parents or working to supplement family income. The Committee were therefore of the view that “there was no need to insert a provision to expressly allow some obvious things, in the Indian context, such as children helping their parents in domestic chores”. This proviso is likely to lead to misuse by employers saying that the children working as labourers belong to the employers’ families. Though innocuous in its wording it will lead to promoting caste based occupations of their parents among children. In this connection as Dr. Ambedkar observes: “Social and individual efficiency requires us to develop the capacity of an individual to the point of competency to choose and to make his own career.” This principle of choice is negated by this amendment, which needs to be rectified. Disclaimer: The views expressed by the author are personal.This article orginially appeared in the edit page of Hindustan Times on 31st July, in the edit page. 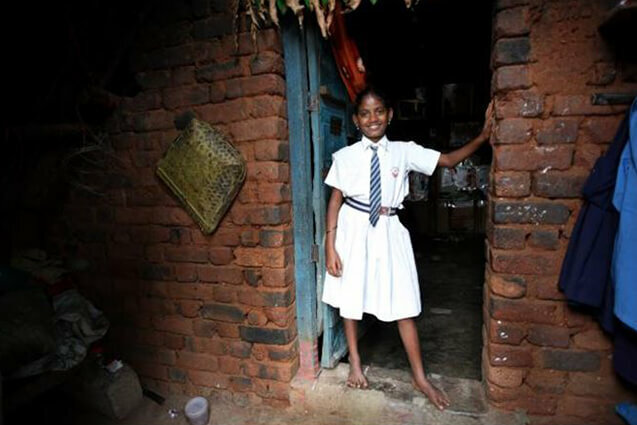 Alex George leads ActionAid India’s knowledge initiative ‘Child Rights Focus’.